From ordering in a restaurant to buying a train ticket, learn to speak Mandarin Chinese with 15-Minute Mandarin Chinese. No writing or homework- just use the cover to hide the answers and test yourself as you learn. Real-life examples cover every holiday and business situation, along with cultural and conversational tips and a pronunciation guide to help with words and phrases. Review and repeat sections at the end of each chapter of this new edition help you to consolidate your new speaking skills. Perfectly pocket-sized so you'll have it to hand in all situations with a complete survival guide for when you are out and about, this phrase book has the structure of a distance learning course, perfect for all language learning travellers. Practise 15 minutes a day, 5 days a week and you'll be able to learn Mandarin Chinese in just 12 weeks. 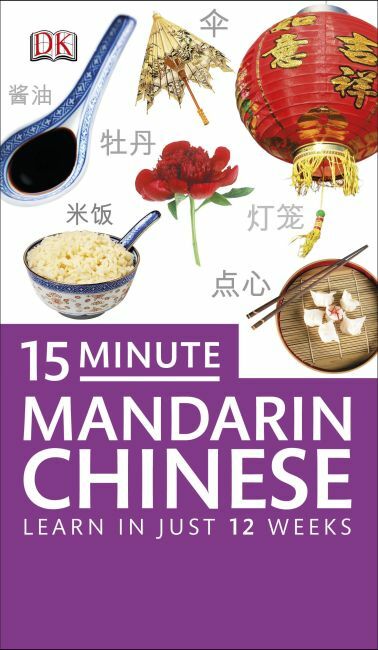 Whether you are starting from scratch or just in need of a refresher, 15-Minute Mandarin Chinese (previous ISBN 9781405317740) is the quickest way to learn Mandarin Chinese fast.